3. Check out CC/WI's newly designed website! 1. At the Common Cause in Wisconsin (CC/WI) - organized campaign finance reform forum in Eau Claire on April 20th, State Rep. Jeff Smith (D-Eau Claire), the Chair of the Assembly Committee on Campaigns and Elections, told the more than 100 attendees that his committee would hold a public hearing on ASSEMBLY BILL 65, the so-called "Impartial Justice" legislation. This measure would provide 100 percent public financing to qualifying candidates for the State Supreme Court who agreed to abide by a voluntary spending limit of $400,000. State Senator Pat Kreitlow (D-Chippewa Falls), who also spoke at the Eau Claire event, is the primary Senate author and sponsor of the legislation. Rep. Smith, who decided to schedule the public hearing on May 27th prior to the Eau Claire Forum -- and used that event to announce it -- has also added ASSEMBLY BILL 63, legislation that would require the disclosure and regulation of widely disseminated campaign communications masquerading as issue advocacy. It would apply only to communications that run 60 days or less prior to an election. Rep. Kristen Dexter (D-Eau Claire) was also a partipant at the April 20th Eau Claire reform forum and provided concrete examples of these phony issue ads. She is the chief Assembly sponsor AB 63. CC/WI first proposed this reform back in 1997 and we have been relentlessly pushing for its enactment into law since then. If enacted, AB 63 would close the single largest loophole in Wisconsin's outdated and ineffective campaign finance laws. 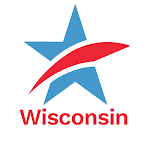 In 2000-2001, CC/WI led an effort to pass similar legislation that passed in the State Senate and came within one vote of passing in the Assembly. This time, the votes are there for passage in both the Assembly and State Senate and Governor Jim Doyle would almost certainly sign it into law. The May 27th public hearing will be a joint hearing of Rep. Smith's Assembly Committee on Campaigns and Elections and the Senate Committee on Judiciary, Corrections, Insurance, Campaign Finance Reform, and Housing - chaired by Senator Lena Taylor (D-Milwaukee). It will be held simultaneously in Eau Claire and in the State Capitol in Madison, and linked via teleconferencing. So, those who wish to testify on AB 65 and AB 63 can do so in either city. Rep.Smith will be in Eau Claire and Sen.Taylor in Madison. The hearing is tentatively scheduled to begin at 2:00 PM. More details (and changes, if any) will be made public closer to the hearing date. This will be an historic event. It will mark the first time in almost two decades that major, bipartisan and sweeping campaign finance reform legislation has had a public hearing in the Assembly. And, it marks the Legislature's first attempt at holding a dual-city public hearing linked by teleconference. Stay tuned! 3. CC/WI's website: www.commoncausewisconsin.org has been redesigned and updated by CC/WI Director of Information Services and Outreach, Sandra Miller. It has a blog that features the wit and wisdom of CC/WI Co-Chair Bill Kraus, and we have just added a beautiful photo of a Wisconsin Dairy Farm in Rock County taken by CC/WI Co-Chair Maxine Hough. Oh, and there is information about campaign finance reform and more, too! You can also see photos and video of the April 20th Reform Forum in Eau Claire. Common Cause in Wisconsin Reform Update - May 11, 2009Tweet this!